Subaru Corporation doesn’t need any more bad news, but it just keeps on coming. 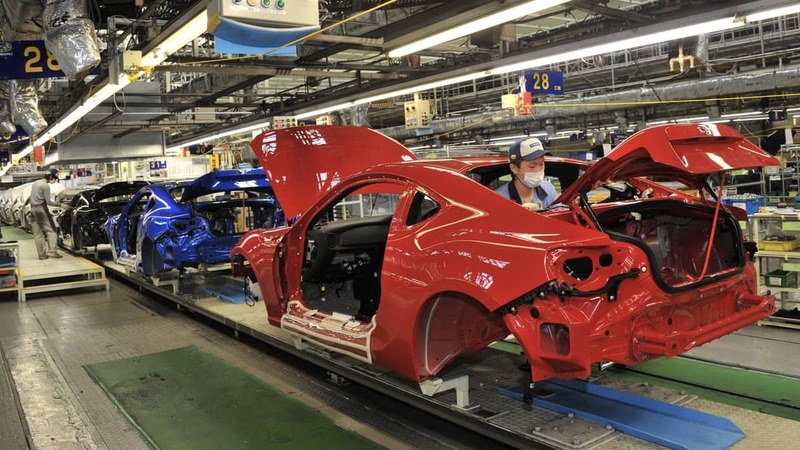 According to a report from Channel News Asia, Subaru Corp said it did not pay overtime wages over a two-year period to 3,421 employees at their Gunma, factory in Japan who under-reported their hours. This is the plant where Subaru produces the all-new 2019 Subaru Forester SUV, Crosstrek, WRX/STI, and BRZ. The leak surfaced as a result of an internal probe following the 2016 suicide of an overworked employee. The outstanding wages from mid-2015 to 2017 have been paid by Subaru retroactively last March to employees and totaled $7.08 million USD. Japanese media reported the news on Friday after a lawyer of the deceased worker's family disclosed some of the findings. The news reports say a 46-year-old white-collar worker jumped to his death from the roof of Subaru’s Gunma factory in 2016, in what Japanese authorities call “karoshi”, or death from overwork. This was at a time when Subaru of America was selling record numbers of the popular Forester SUV and Crosstrek CUV and set a new all-time sales record of 615,132 vehicles in 2016. Workers at the Japan factory felt pressure to keep up a hectic pace. Subaru conducted an internal probe found the practice of employees working overtime was common, and the Japanese automaker found the majority of workers it surveyed said they under-reported overtime hours "so as not to exceed the limit for the budget for overtime work”. Subaru says they have taken steps to ensure employees are unable to falsely report their actual work hours. No instructions from superiors to their employees to under-report their overtime were confirmed, the company said. A Subaru official insisted the company did not intentionally cover up the unpaid overtime and didn’t recognize the finding as "one that had to be made public." The employee who took his life after working excessive overtime, under-reported his extra work hours. He reported them as “zero” despite working approximately 105 hours of overtime about a month before he killed himself, according to the lawyer representing his family. The worker’s unpaid overtime wages reached about 4.08 million yen. ($37,000 USD) and Subaru is working out payment with the family. Subaru didn’t disclose the unreported overtime misconduct for about a year, calling into question the company’s corporate attitude toward its employees. it is unfortunate that the culture in Japan encourages the behavior of the workforce, it's not a single corporate entity that suggests people work too much, or work too much without overtime. it's a cultural thing. When someone takes there own life, it's a really sad moment. The mental illness that leads to suicidal thoughts is an epidemic in this world today. It's sad, and my condolences go to there family. That being said, I work for subaru in the US and they are a great company that really emphasize on safety in the work place and safety for the consumer. Regularly we are asked to work overtime, I have never once experienced or have seen in any instance that subaru wants to underreport hours. Actually quite the opposite, yes they want more output, but what growing company doesnt......? Subaru takes customer safety quite seriously! Subaru takes employment safety seriously! In the US, if you work the hours, Subaru will and WANTS to pay you what you work!!!! The US definitely has a different work culture. I was going to buy one, and my husband suggested not to. If I had one, right now, I would trade-in with anything else F****K Them. This is a sick world. Hi I work at the Indiana factory and some times we have a lot of overtime but not over 60 hours a week. We have free insurance, paid two week shut downs, and are paid pretty well. I feel for that man and I don’t understand Japan’s factory or the country’s laws but Subaru seems to be a very nice company. What did a Subaru dealer stiff you? Sounds like you have a personal problem with Subaru. I'm betting this guy had other problems going on in his head. If overworked is the case, I'm surprised 200 people where I work haven't commit suicide they have been working 7 days a week 10 to 12 hours a day for the last year. How can your quality NOT slip after working those types of hours? Wonder why they have all kinds of QC with their products! !